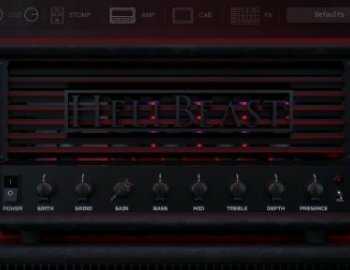 Hellbeast is part of a new series of amps by Audio Assault. ​HellBeast is inspired by an incredibly brutal and versatile amp, with grind and chunk that can cut through the heaviest mixes. Use GMII's IMPACT technology and mix and match between your favourite IRs or the 62 included ones. Our most accurate pedal model ever. Use it to push the amp past eleven, or mix it with the amp.